The word “therapy” has developed a negative connotation over the years, despite the research that proves otherwise. At Dr. Eliana Cohen Psychology, Dr. Cohen and her associates work hard to give people the treatment and support that they deserve. We specialize in individual therapy, family and couples therapy, mood disorders, and more. View our full list of services. If you or a loved one would like to schedule an appointment to meet with Dr. Cohen, call 416-800-1326. We look forward to working with you. Many people hesitate to try therapy, even though it has been proven to have excellent results, even for those who consider themselves to be happy. In this article, we will talk about the many benefits of therapy. Continue reading to learn more. Dealing with problems on your own doesn’t usually get you far, and unsolved problems will only lead you to repress your emotions about them. By talking your problems out with someone, you help bring shape to something that is otherwise just a huge mess festering inside your head. When you talk through a problem, it helps create a beginning and an end. The more you talk through the problem out loud, the more it starts to make sense, and eventually, you will be able to come up with a solution. If you let a problem sit and stew inside of you, it may never become clear. If you refuse to talk about your feelings or concerns, they start to build up over time. It’s like shaking a bottle of soda — if there is only a little soda in the bottle when it’s shaken, it won’t explode, but as more and more soda is added, the possibility of it exploding increases if you were to shake it. Problems and emotions don’t go away if you ignore them; they build up, and can start to affect every aspect of your life. By talking through everything with a trained professional, or even a friend, you will start to feel much better. You may not realize it’s happening, but when you suppress negative feelings over a long period of time, they become ingrained in the way you view things. You start to make assumptions about the things people say or the way they act. For example, if you’re talking to a friend and they say something about not being able to hang out that night, you may assume that they just don’t want to hang out with you. However, if you start talking through your negative feelings and emotions, you might see the situation differently and realize that the more likely scenario is that your friend has conflicting plans. Instead of attending regular therapy sessions, many people choose to talk to close friends and family members. This is a great solution, especially if you are in a pinch, yet talking to a professional psychologist has its benefits. For example, you may feel more comfortable talking to a friend or family member than a therapist at first, but your friend or family member may not be able to give you the complete, undivided attention you crave. Additionally, you have a history with the people in your life and this could influence their advice or opinions. A therapist has no history with you, so he or she is able to have an unbiased view of your situation, not to mention help you and give you the undivided attention you deserve. These are only a few ways that therapy can make a difference in your life. 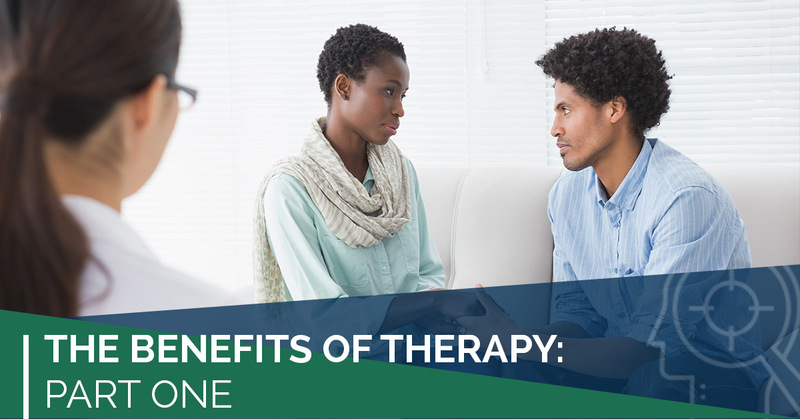 To learn more about the benefits of therapy, keep an eye out for part two of this multi-part series. If you are in the Toronto area and you would like to speak with a licensed psychologist, contact Dr. Eliana Cohen Psychology. Dr. Cohen and her associates would be more than happy to work with you. Schedule an appointment today!